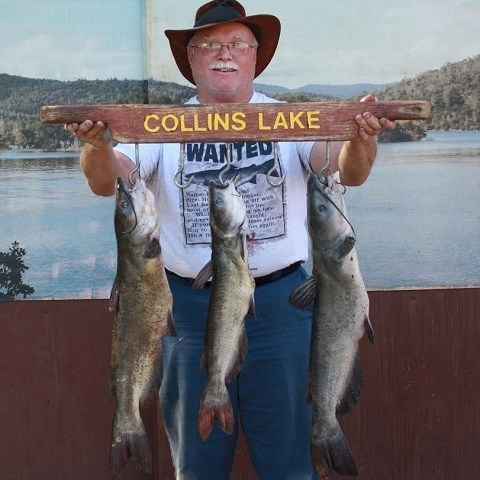 Fall is on its way and Lake Collins anglers are making the most of it. Here’s a few of our outdoor buddies that hooked up this last week! 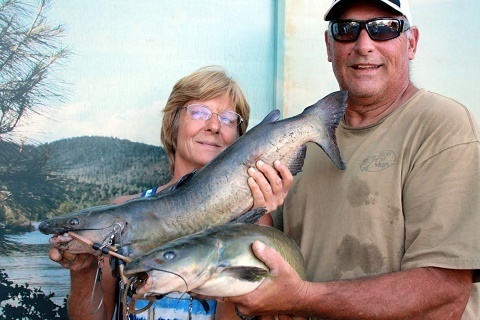 Pictured above, David & Angela Gray from Sacramento fished the east side of our lake and hooked a 7 lb. & an 8 lb. catfish. 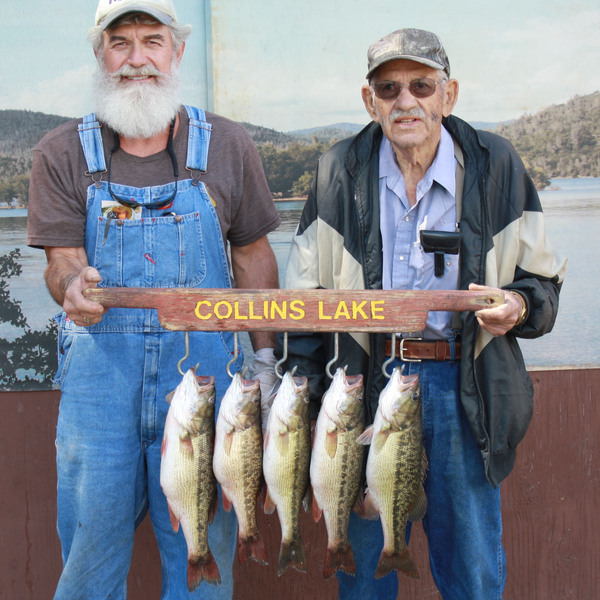 And, though we don't have photos, additional anglers found plenty of fish at Collins lake. 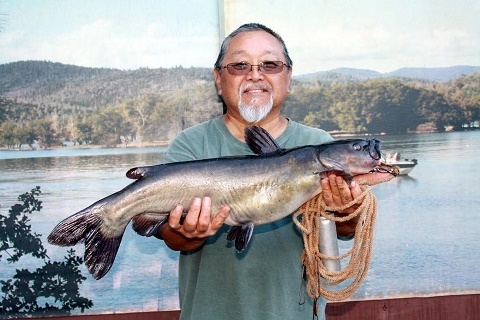 Kevin & his Dad fished near the dam and hooked a 5 lb. 4 oz.cat on a night crawler. Dale Mansfield caught three nice bass using live crawdads by the dam. 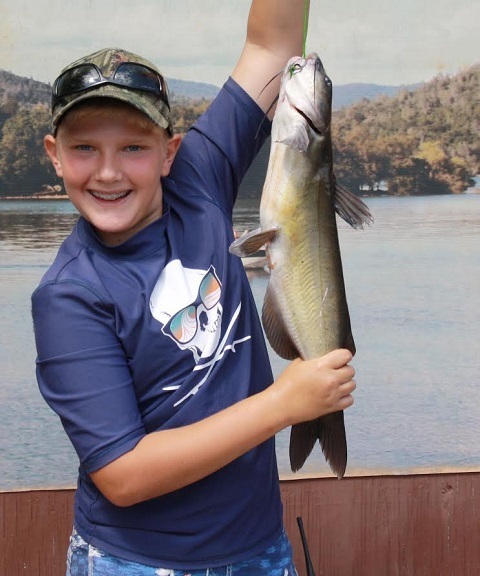 He caught a limit of trout on Needlefish, Thomas Buoyant lures, or worms he said. He also got a huge Redear Sunfish on a worm.